Thanks to Explore Learning, we’ll be hosting two free workshops at the library on 14th August 2018 – contact the library or pop in to book your place! 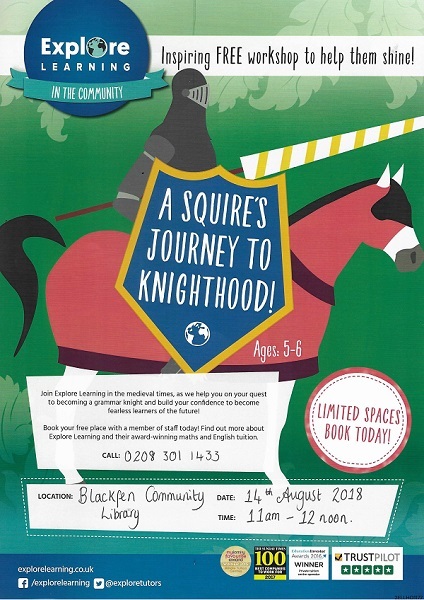 Join us in the medieval times, as we help you on your quest to becoming a grammar knight and build your confidence to become a fearless learner of the future! 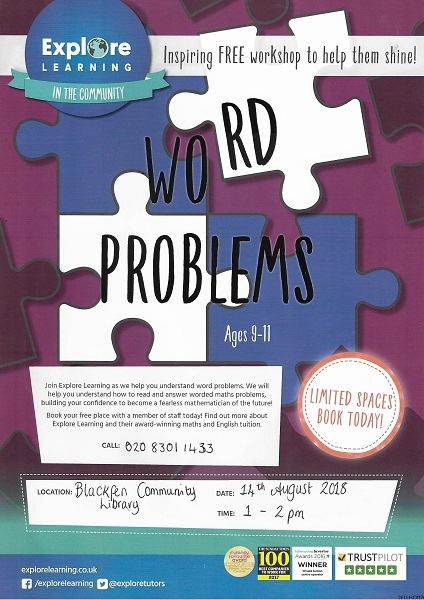 Join us as we help you understand word problems. We will help you understand how to read and answer worded maths problems, giving you confidence to become an marvellous mathematician.